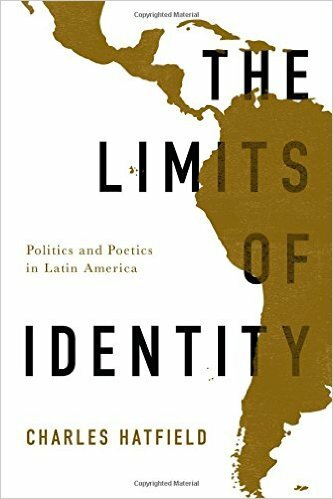 My review of Charles Hatfield’s recent Limits of identity: politics and poetics in Latin America (U Texas Press, 2015) was published today at Berfrois. It is an admirable book, which I hope will promote important discussions both within and beyond the professional field. “In spite of its simplicity and methodical pragmatism, Charles Hatfield’s The Limits of Identity: Politics and Poetics in Latin America (University of Texas Press, 2015) is an ambitious and systematic effort to dismantle some of the predominant variations of identarianism that feed the discursive apparatus of Latinamericanism in a period that spans over a century, from José Martí’s “Nuestra América” (1891) to John Beverley’s Latinamericanism after 9/11 (Pittsburgh Press, 2011) . The organization of this book, however, is not chronological nor is it structured around case studies based on regions or authors”…[to continue reading].